Top 10 Richest People in India – Best of India! India is 10th Richest Country in the world based on country GDP (Gross Domestic Product) and PPP (Purchasing Power Parity) calculations. According to CNN and BRICS summit survey, India will overtake China, becoming world’s biggest economy by 2050. The report predicts India’s GDP will reach $85.97 trillion in terms of purchasing power parity (PPP) by 2050, compared to China’s figure of $80.02 trillion for the same period. In simple words, India will be the richest country in the world in the year 2050. Right-now, India is home to the fifth largest group of billionaires in the world and currently has 69 billionaires, out of which 5 are in Forbes list of top 100 richest people in the world. The collective wealth of the Indian billionaires comes to an overwhelming 398 Billion US dollars. Surprisingly, India has higher number of super rich individuals than Switzerland, Germany, Australia, Japan and France. Did you know that Mumbai is home to 33 billionaires and is among the top six billionaire cities in the world. Despite the economy fluctuations, India has still improved its position over the last year. Indian’s are progressing well in improving urbanization, their living standard, economic growth and more. Let us below see the list of top 10 richest Indian. 1.) 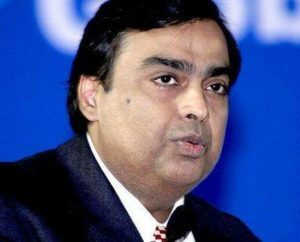 Mukesh Ambani – is a number one richest Indian business tycoon who is the Chairman, Managing Director and largest shareholder of Reliance Industries Limited (RIL). It’s a part of Fortune Global 500 company and India’s second, after Tata Consultancy Services (TCS), most valuable company by market value. He is ranked 28 in the list of “The World’s Most Richest People List – Forbes” with a wealth of 22 Billion Dollars. He is in a race to become richest man in Asia soon. He is one of the richest sports owners in the world also (Mumbai Premium League). He live in a private 27-storey building in Mumbai with his family named Antilia valued at 1 billion US Dollars and it is said to be the most expensive house in the world. 2.) Lakshmi Mittal – is an Indian steel magnate. 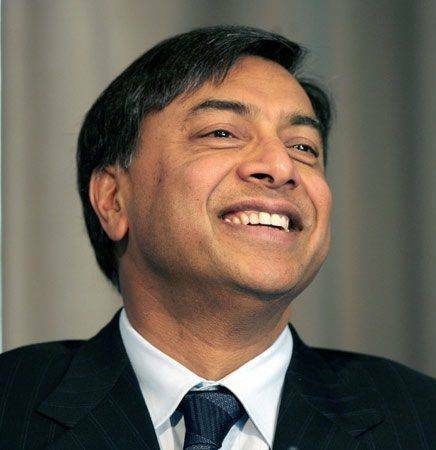 He is the chairman and CEO of ArcelorMittal, the world’s largest steel making company. He was ranked the sixth richest person in the world by Forbes in 2011, but dropped to 21st place in 2012, due to heavy loss of $10.4 billion previous year. Despite being the second richest man in Britain, he does not hold British citizenship. His daughter Vanisha Mittal’s wedding was the second most expensive in recorded history. In 2008 the Mittals made a donation of 15 million British Pound to Great Ormond Street Hospital in London which is the largest private donation to the hospital ever given. 3.) Azim Premji – is a third richest Indian business tycoon and philanthropist who is the chairman of Wipro Limited – a multinational IT Consulting and System Integration services company, headquartered in Bangalore, India. He is 61 richest person in the world, with a personal wealth of $13.7 billion in 2014. His company Wipro is the third largest IT services company in India and 7th largest in the world. In 2000, he was voted among the 20 most powerful men in the world by Asiaweek. And he has twice been listed among the 100 most influential people by TIME Magazine, once in 2004 and in 2011. 4.) 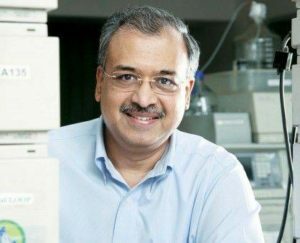 Dilip Shanghvi – is a fourth richest person in India who is the Founder, Chairman and Managing Director of Sun Pharmaceutical Industries Limited, India’s most valuable pharma firm. The company was founded in 1983 and it is currently the second largest drugmaker company in India after Dr Reddy’s. Sun Pharmaceutical Industries makes mega acquisition to forge its position as world’s 5th largest generics firm. Recently, Dilip Shanghvi made a deal of $ 4 Billion with Daiichi Sankyo to buy rival Ranbaxy Pharma Company. 5.) 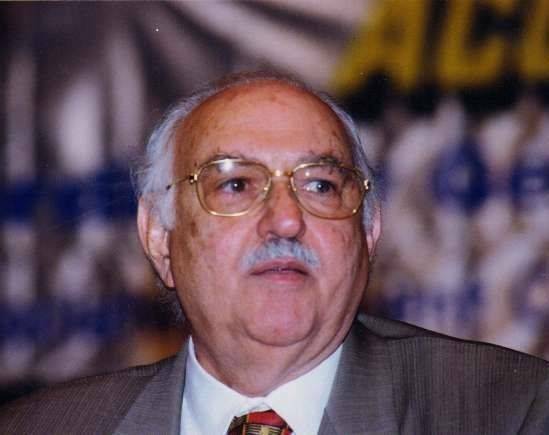 Pallonji Mistry – is an Indian Parsi construction tycoon and chairman of Shapoorji Pallonji Group. According to Forbes, his wealth is estimated to be US $ 12.5 billion. He owns Shapoorji Pallonji Construction Limited, Forbes Textiles and Eureka Forbes Limited. He is also the former Chairman of Associated Cement Companies. Pallonji gave up his Indian citizenship in 2003 to obtain Irish citizenship, because India does not yet allow dual citizenship, though he remains resident in Mumbai. His son, Cyrus Pallonji Mistry succeeded Ratan Tata to become chairman of the $100 billion Tata Group. 6.) Hinduja Brothers – The company ‘Hinduja’ was founded in 1914 by Parmanand Deepchand Hinduja, initially operating in Mumbai, India, and later setting up their first international operation in Iran in 1919. The group has expanded under the leadership of Chairman, Srichand, supported by his brothers, Gopichand, Prakash and Ashok. The Group bought Ashok Leyland, India’s second largest HCV manufacturer in 1987. Renowned Hinduja Bank in Switzerland & IndusInd Bank in India are also part of this group. Today, the Hinduja Group has become one of the largest diversified groups in the world spanning all the continents. Wealth Source – Oil & Gas, Banks, Realty Ventures, others. 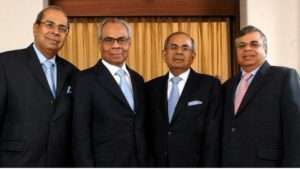 Brothers Name- Srichand, Gopichand, Prakash and Ashok Hinduja. 7.) 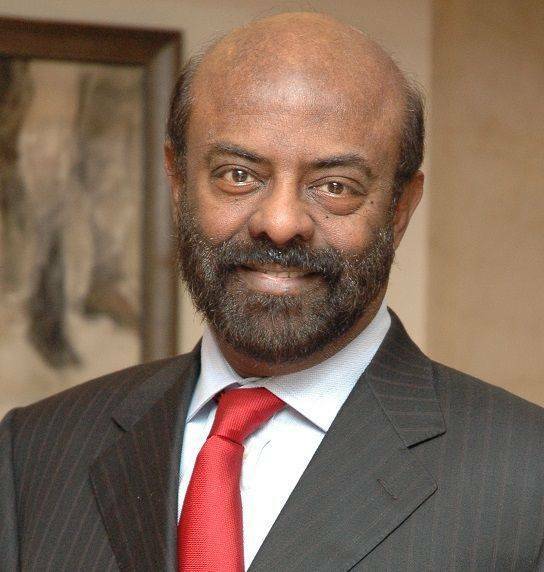 Shiv Nadar – is an Indian industrialist and philanthropist. He is the founder and chairman of HCL and the Shiv Nadar Foundation. As of 2014, his personal wealth is estimated at $ 8.6 billion. Nadar founded HCL in the mid-1970s and transformed the IT hardware company into an IT Enterprise over the next three decades. Among its notable customers are Boeing, Microsoft, Cisco and UBS. There was a rumour that Nadar might sell his company in 10 Billion dollars, as his daughter Roshni Nadar, a member on the HCL board, was not interested in running this business. 8.) 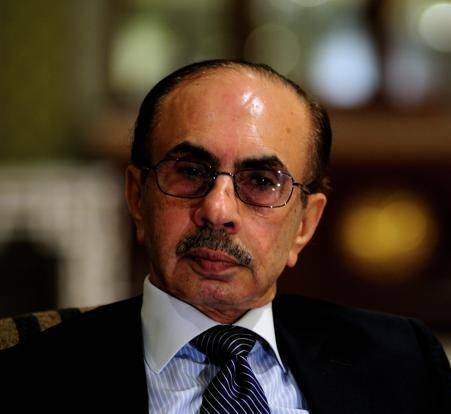 Adi Godrej – Adi Burjorji Godrej is an Indian industrialist and head of the Godrej family, currently serving as chairman of the Godrej Group. 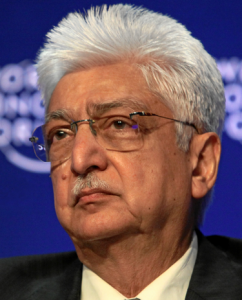 Till 2005, he was one of the richest Indians with a net worth of US$ 6 billion. Today, the Godrej Group Chairman has a net worth of $8.3 according to Forbes as of March 2014, making him one of the top 130 wealthiest people in the world. 9.) 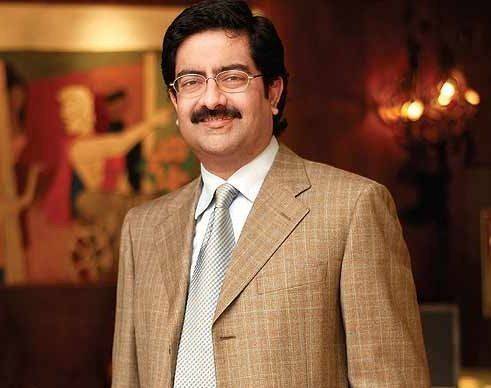 Kumar Birla – Kumar Mangalam Birla is an Indian industrialist and the Chairman of the Aditya Birla Group, one of the largest conglomerate corporations in India. The group is India’s Fifth largest business house. He is also the Chancellor of the Birla Institute of Technology & Science. In September, its cement arm UltraTech inked a $600 million deal to buy a rival unit; the unit is now country’s largest cement producer. 10.) 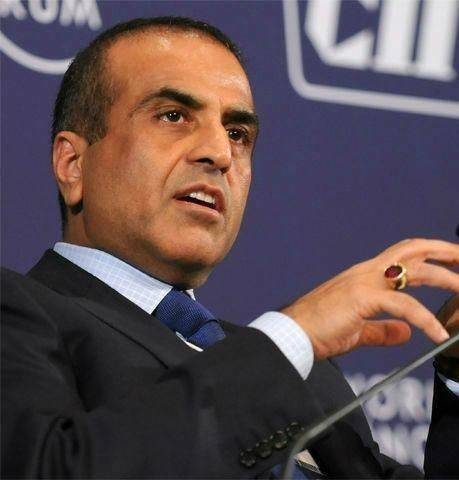 Sunil Mittal – is an Indian entrepreneur, philanthropist and the founder, chairman and Group CEO of Bharti Enterprises, which has interests in telecom, retail, financial services, and agri business. The Group flagship Bharti Airtel, with operations in 20 countries across Asia and Africa and a customer base of over 275 million, is India’s largest telecom company and world’s fourth largest mobile operator. India was supposed to be one of the richest countries in the world when the British took it over in 17 century. Today, If it lack behind from being #1 country in the world is only due to corruption. Let’s be determined to fight against corruption and give back that honour back to our beautiful land – India, before 2050. Why there is no girl in the business tycoon?